THE TREATY OF GUADALUPE HIDALGO February 2, 1848. With all due respect to Martin Luther King Jr, Cesar Chavez and Reis Lopez Tijerina, who recently passed away, the civil rights movement did... 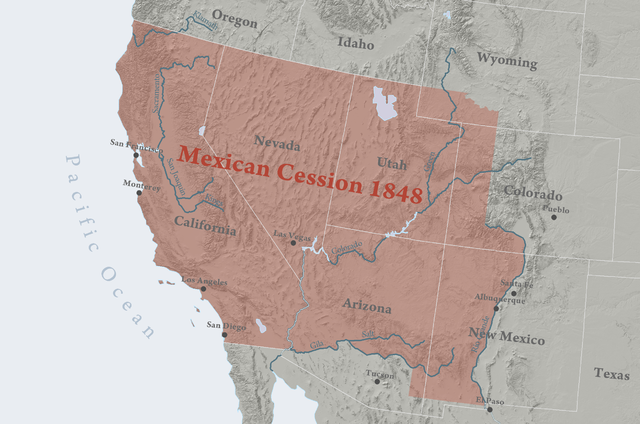 Signed in 1848, the Treaty of Guadalupe Hidalgo ended the war between the United States and Mexico and gave a large portion of Mexicoâ€™s northern territories to the United States. The Treaty of Guadalupe Hidalgo, shown here and signed on February 2, 1848, ended the Mexican-American War and settled the majority of the U.S.- Mexican border. Territory received from Mexico became all or part of 10 U.S. states, with the United States paying Mexico $15 million.